with developers battling one another to get ahead and bring out the next big title that will get everybody talking. Ever since its initial release all the way back in 2004, millions of players have jumped online to play the MMORPG World of Warcraft, enjoying a number of expansions in the following years. The next is just a few days away from release, and is called Battle for Azeroth. The Alliance and Horde's fragile coming together in previous years has been torn apart thanks to a major betrayal, and now they go up against one another all over again. Which side will you pick when you jump into the action? This may be a remake of the 2006 video game Yakuza 2, but it's still one that everyone can't wait to play. Played from a third-person perspective, it's an action-adventure title packed full of twists and turns that keeps the audience on the edge of their gaming chairs from the opening moments, right through until the climactic final sequence. It's going to be very interesting to see how the new story elements promised in the remake will clear up any confusing plot points that have confused gamers since 2006. This one looks better played with your friends or other gamers you find online, as the third-person shooter allows groups of up to four people to get together and take on mythological creatures with the backdrop of Egypt in the 1930s. Each of the four playable characters has different talents and abilities, and so players will have to toggle between them to discover which best suits their style of play. There will also be plenty of puzzles to engage with, ensuring that there are lots of hours of fun to be had. Spider-Man is finally slinging his way back onto PlayStation consoles this September in what looks to be the most compelling, charming, and challenging video game that the hero has fronted to-date. A number of major villains from Marvel Comics will share the screen with the hero, including Mister Negative, Electro, Rhino, Mac Gargan, Vulture, and Shocker. A seventh is rumored, but their identity hasn't yet been revealed. Everyone can't wait to see what Insomniac has up their sleeves with this one. Lara Croft is back and looking mightier than ever before in Shadow of the Tomb Raider, but she may be about to go up against her most challenging adversaries yet. Boasting the largest hub the franchise has ever seen, players will once again guide Lara through a mysterious location packed full of puzzles, missions, and side quests, all while dodging enemies and their various forms of attack. However, plays should remember to take time to explore the optional tombs, as they often provide some of the best moments in the game. Spyro the Dragon is back, hot on the heels of the success of the remastered Crash Bandicoot N. Sane Trilogy. All three of the original Spyro games are making their return to consoles, and the hero has been given one of the best glow-ups in gaming history. As far as everyone's aware, there won't be any new content when it comes to missions, but everyone can imagine the hit of nostalgia will be enough to bring millions back to the purple little fire-breather. Playground Games have gone more in-depth than ever before in the fourth instalment to their Forza Horizon series, which will be coming to various locations across the United Kingdom this year. There will be over 450 licensed cars available in the game, which will take place in a fully synchronized and shared world with other online players for the first time. Up to 72 players will be able to join the same server at any one time. Players will also be able to buy properties as well as cars, leading to one of the most immersive driving titles ever. The Assassin's Creed series continues this year with the release of Odyssey, the first game in the franchise that allows you to decide whether to play as a male or female hero for the entirety of the narrative. This time round, they’re venturing to the year 431 BCE, with a fictional history of the Peloponnesian War planting the player right into the midst of ancient Greece. Branching dialogue choices will be implemented into game-play for the first time in an AC title, but exactly how much of an effect they'll have on the overall plot isn't something that is yet known. Super Mario Party is finally making its way to the Nintendo Switch - a platform that the game was pretty much made for. This will be the eleventh instalment in the series, and while there have been some duds in Party's past, this has every opportunity to be one of the main reasons to pick up a Switch. Fans can't wait to jump into the action, with mini-games likely to be some of the most intricate that the franchise has ever offered. Everyone's sure Black Ops 4 will divide gamers just as much as every other entry in the Call of Duty franchise. In the past, the Black Ops games have been some of the most addictive available. This looks to be no different from what everyone has seen of the upcoming addition, which will be featuring a Battle Royale mode for the first time in COD's history. Classic modes such as Team Deathmatch will make a return, as well as the beloved Zombies mode that will have us all screaming at our televisions all over again. 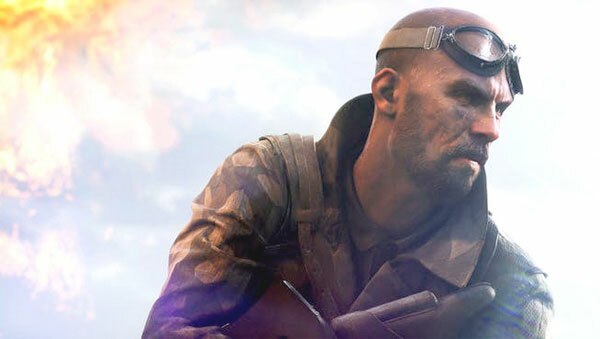 Following the huge success of Battlefield 1, EA DICE will continue their war-torn story and focus on World War II in Battlefield 5. Developers have said that they've focused on bringing realism to the game this time round, with party-based features and mechanics, as well as scarcity of resources forcing gamers to work harder than ever. There will also be a new Battle Royale mode that will no doubt have all of us tearing our hair out - the impact of PUBG and Fortnite. One of the leading fighting game franchises in the world is making its comeback, with both iconic classic characters and new faces jumping into the fray. Fans can't really defend some of the artwork that’s out there so far, as it's a little gratuitous, but the Soul Calibur games have always been some of the most addictive in the world. A new mechanic comes into battle this time round, which will allow players to defend against an oncoming attack while striking back immediately, with a slow-motion effect kicking into play. Rockstar is finally coming through with the second Red Dead Redemption title, once again transporting players into a fictional Western world. This time round, they take control of outlaw Arthur Morgan - a member of the Van der Linde gang who run riot in the American Old West in 1899. The Honor system from the original Red Dead game will move on over to its successor. This means that how players treat those around them will affect how they are received by others. It's going to be one heck of an experience. For the first time in the Fallout series, gamers will be able to jump into a multiplayer online world in Fallout 76. Though everyone thought the world of Fallout 4 was big, this open world will be four times the size of the one you explored in that game. What's going to be very different in this title is that there will be no human NPCs in the world at all. Instead, every human that players come up against will be online gamers. While it's an exciting prospect, it's one that does mean that there's danger around every corner.